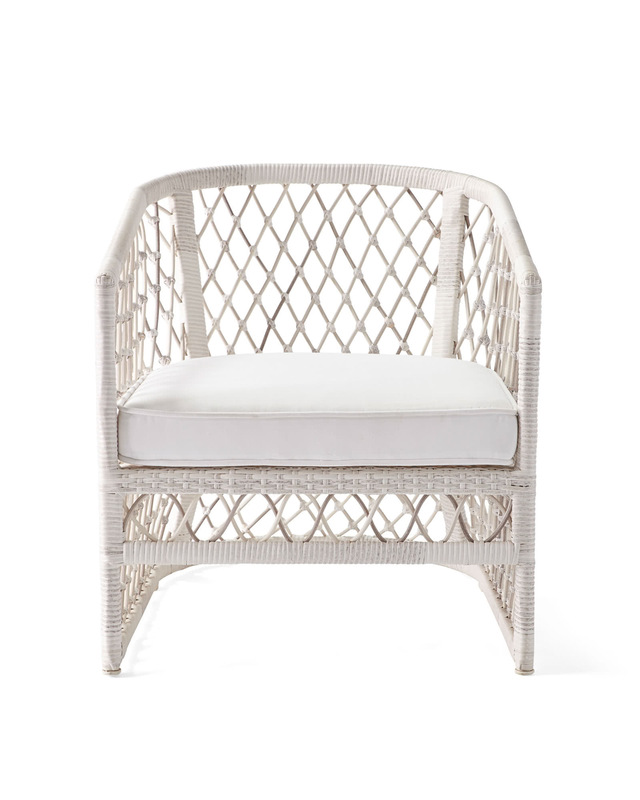 Capistrano Outdoor Lounge Chair - DriftwoodCapistrano Outdoor Lounge Chair - Driftwood, alt="Capistrano Outdoor Lounge Chair - Driftwood, "
Cushions: Stocked in White Sunbrella® Performance Canvas; ships within 5-7 days. All other cushions are made to order and ship within 4-6 weeks. 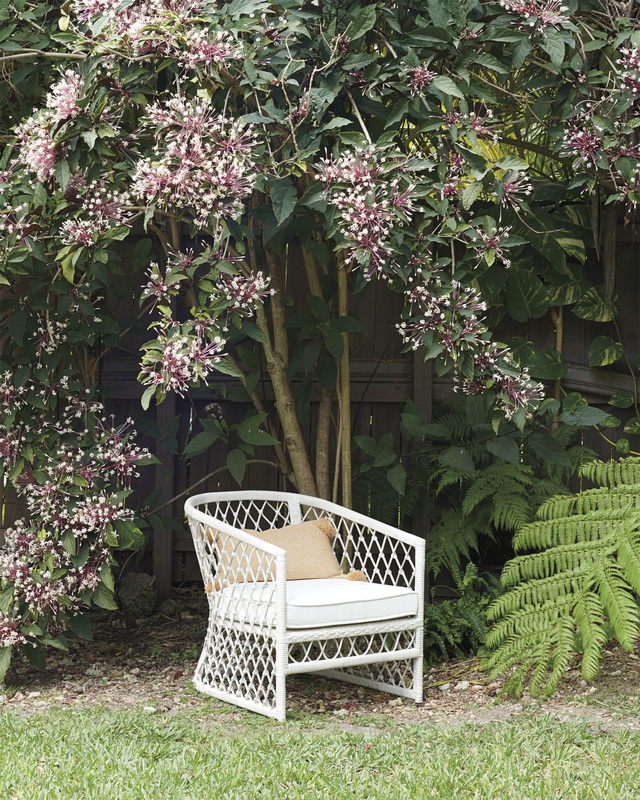 Print Inspired by our own Avalon Collection, we’ve translated the same airy design notes into outdoor furniture you can really sink into. 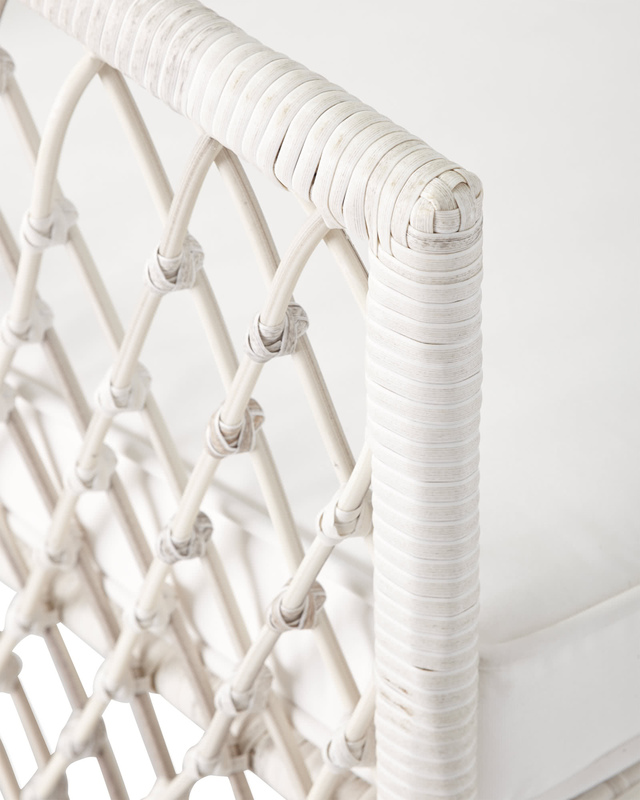 Hand-wrapped resin mimics the rattan of the original and provides the same texture we adore. A subtle lean lends grace to the silhouette. To keep things elevated, we’ve added a comfy cushion with all-weather fabric that – like the frame itself – stands up nicely to the elements, season after season. Hand-wrapped resin over an aluminum frame. Cushion has an all-weather foam and polyester fill. Store indoors when not in use to preserve its beauty. Clean once or twice a year by hosing it down or using a soft cloth and mild soap solution. Be sure to rinse off all soap residues with fresh water after cleaning. Remove foam before washing cushion cover. Machine wash cold. 26.25”W x 32.5”D x 29”H overall. Cushion: 24”W x 26”D x 2”H overall. 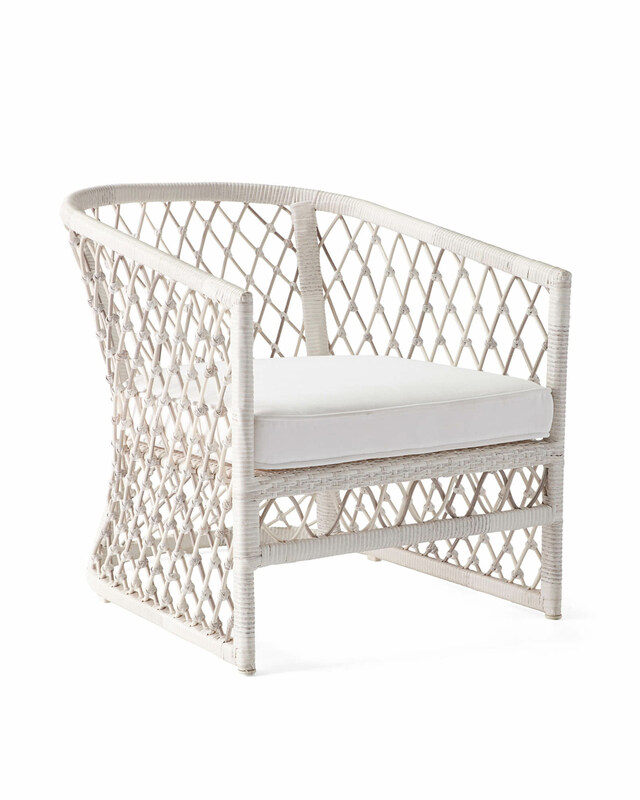 Furniture frames ship via White Glove delivery and arrive within 2-4 weeks of order receipt. 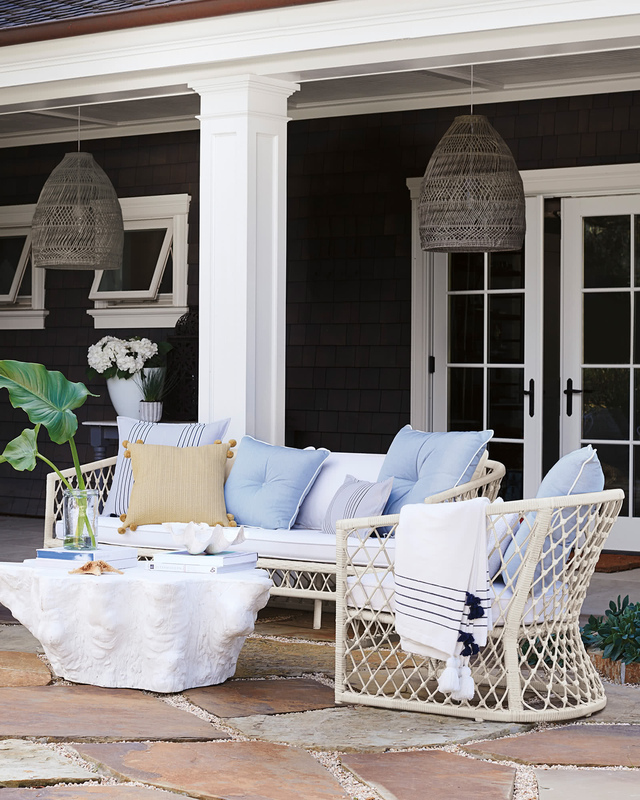 In-stock Sunbrella White cushions ship separately via Fedex and arrive within 5-7 days of order receipt. Made to order cushions ship separately via Fedex and arrive within 4-6 weeks of order receipt.